Hello friends!! Welcome back to the pub for another fantastic interview. 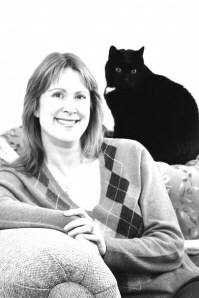 This author is no stranger to the pub and was a featured author on Writing on the Rocks last year. 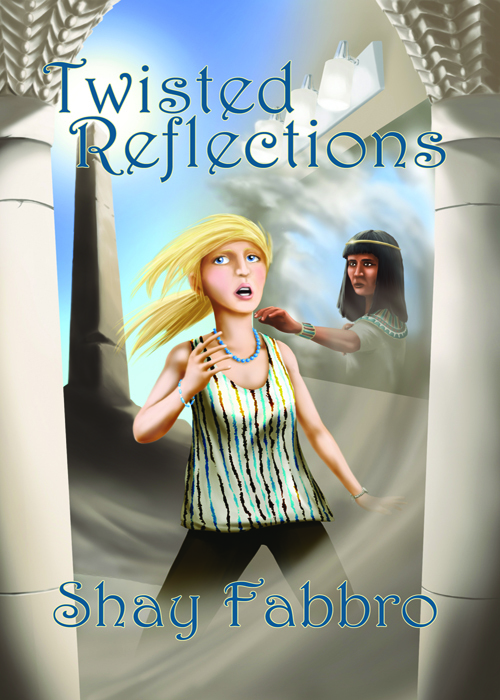 Dr. Shay Fabbro is back to talk about her YA series that contains the books Dangerous Reflections and Twisted Reflections. KD: Can you give us a brief synopsis of your Reflection series? SF: Alexis Davenport is a teenage girl with a lot on her plate: deadbeat dad, forced to move away from her childhood friends, starting her freshman year in a new school, being targeted by a bully on the first day of school…oh, and she is seeing the images of strange girls in the mirror. After being transferred to the body of the girl in the mirror, Alex soon realizes she must stop an man from changing the time line. Not an easy task for a teenager, but Alex has some gifts that will help her as she meets her destiny. KD: Where did the idea for a time traveling teenager charged with saving the world come from? 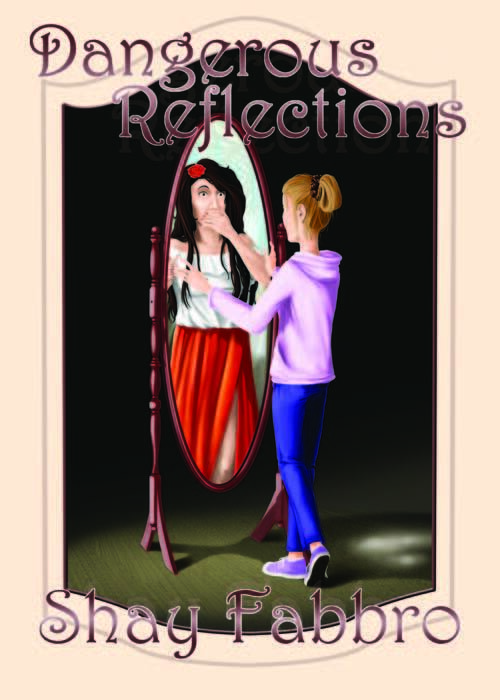 SF: As I was getting ready for work one day, I imagined the reflection changing to someone else. And of course, rather than being scared of the notion, it sounded exciting! I think that’s pretty typical of writers During the course of the day, the idea started to grow and the idea of using the mirror to time travel solidified. When it came to creating the main character, I wanted to have a strong, smart, sassy female. The first series I wrote was adult scifi/fantasy so my original thought for the heroine was an adult, perhaps a stay-at-home mom. But I wanted to get out of my comfort zone and push myself a little. Thus the idea of writing a teen main character came to fruition. KD: The main character, Alex, is teenager who absolutely loves history, reading, boys and the latest fashions. What was teenaged Shay like? SF: I was an awkward teen, that’s for sure. There’s a lot of me in Alex. However, most of the most awful stuff happened to me in middle school rather than high school but I was able to pull from those emotions and incorporate them into a main character in high school. I loved to read, loved science (I think I was born to be a biologist), had plenty of crushes, dealt with bullies, loved 80’s hair bands, used massive amounts of Aqua Net hairspray…ah, those were the days. KD: In your guest post on my site you talked a little about getting into the mind of a teenager. How did you go about capturing the spirit of a modern day teenager? SF: I did a lot of teenager watching while out and about. I also pulled a lot from my own experiences. Even though times may change, the things teens deal with are the same: boys, parents, trying to come into their own, finding their way in the world, schoolwork, making friends, the first kiss, gaining freedom in the form of a driver’s license. KD: Thanks to her “gift” Alex has traveled to the South during the Civil War, to the times when the great pyramids of Egypt were being built and various other places and times. If you had the ability to control time travel, where would you go? SF: I would go back and meet Jesus of Nazareth, listen to his words, perhaps witness his resurrection. It would also be awesome to go back and meet my ancestors, to actually speak to them, see if we have some of the same features, mannerisms, etc. Rather than having to rely on family trees and faded photographs, it would be so amazing to actually sit down and have a mug or ten of beer or wine and chat about their life. KD: What’s next in store for Alex Davenport? SF: There is a LOT that’s going to happen in the third book. Alex is going to find an important ally, do some more traveling, and come face-to-face with Drifter. Does she have what it takes to save the world? You’ll have to read the trilogy to find out! KD: What was your favorite part to write in this YA series? SF: I loved writing the time travel scenes. I have never been much of a history buff so this was another area where I had to stretch myself and do a LOT of research. As a scientist, research is in my blood so I delved right in. I wanted to pick people from history that weren’t necessarily something everyone would know. I thought it might be educational and interesting at the same time! KD: What is easier for you to write, YA or Sci-fi? Why? SF: Scifi for sure. I enjoy writing from multiple points of view. When writing YA, the only POV is the main character. KD: Can you tell us a little about your Sci-fi novels? SF: My scifi novels involve multiple planets, multiple alien species (which were fun to design! ), gigantic mechanical beings that destroy entire worlds, heroes that must work together to fight the Mekans, romance, dark magic, good magic, advanced weapons, travel pods, portals that take the Chosen to various worlds (while changing their physical form to match the sentient species), and so much more! KD: Do you have anything exciting in the works? 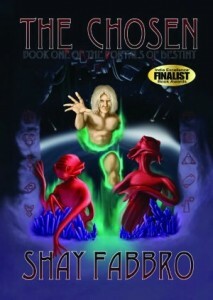 SF: I’m currently working on the last book of my Portals of Destiny series. Once that is completed, I will begin working on the final Alexis Davenport series. I have some ideas for a series of crime/thriller novels. Thanks so much for stopping by, Shay! We love to have you visit! Congratulations to Debbie S. George-Jones for winning one of Shay’s books! We’ll be in contact soon, Debbie!! And thank you to all the patrons of the pub for supporting all these wonderful authors and for following my site. You guys are the best! This entry was posted on Wednesday, April 18th, 2012 at 11:09 AM	and is filed under Writing on the Rocks. You can follow any responses to this entry through the RSS 2.0 feed. You can leave a response, or trackback from your own site. Shay Fabbro was born in Longmont, CO and moved to the town of Grand Junction, CO in the early 1980′s. She earned her Bachelor’s degree in Biology from Mesa State College before earning her doctorate degree in Human Medical Genetics from the University of Colorado Anschutz Medical Campus in Aurora, CO. Dr. Fabbro currently lives in Grand Junction with her husband, Rich, and their two cats. When not writing novels, she teaches biology classes at Mesa State College. She is hard at work on the second novel in the Portals of Destiny series, Shattered Destiny, as well as a new young adult series, The Adventures of Alexis Davenport. Shay is also a contributor on this site. 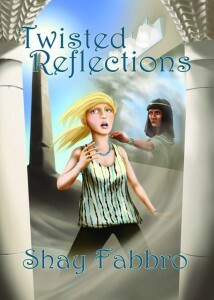 Find Shay at her blog, on Twitter and on Facebook. You can find her books at Amazon , Barnes & Noble and Smashwords.